A visual stream of consciousness where all are embraced in a vibrant world made better by everyone”s differences. 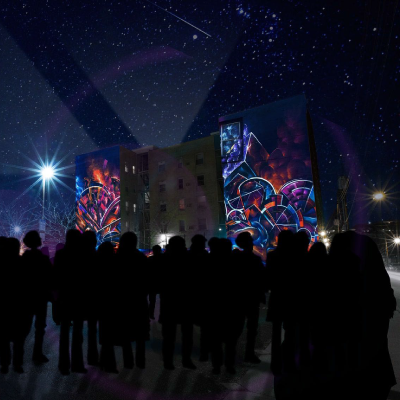 Future City is expressed by two massive murals by Xylene and animated using provocative imagery, textures and fantasy dreamscapes to evoke a sense of unity. Witness artists GoDutch and Brave Berlin's vision for an optimistic future of love, hope and inclusion.